Furry Rainbow Boot Covers.Includes: One Pair of Furry Rainbow Boot Covers. Available Size: One Size Fits Most Adults. *Tutu, Shoes and Costume Not Included. Accessories Sold Separately. Complete your costume with these colorful Furry Rainbow Boot Covers! 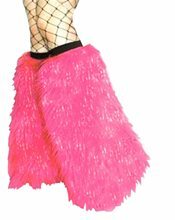 Our 60's Pink Go Go Boot Covers are the perfect accessory for any Go Go Costume. If you are looking for a complete outfit consider one of our Go Go Costumes for women. Rainbow Thigh Highs are a perfect way to brighten up any costume! Great for clown costumes! Spandex Tights (Assorted); Spandex Tights (Assorted) are perfect for any costume! Choose a color that will make your costume pop! Black and Fuschia Two Tone Boot Covers.Includes: One Pair of Black and Fuschia Two Tone Boot Covers. Available Size: One Size Fits Most Adults. *Costume and Shoes Not Included. Accessories Sold Separately. 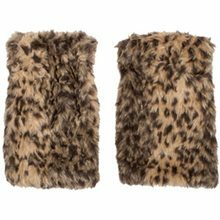 Complete your costume with these furry Black and Fuschia Two Tone Boot Covers! Black and White Striped Tights.Includes: One Pair of Black and White Striped Tights.Available Size: One Size Fits Most Adults and Teens. *Shoes and Petticoat Not Included.These striped full length stockings are a great colorful addition to your costume!